The Fairfax County Public Library and its branches will close at 6 p.m. this evening. All Neighborhood and Community Services facilities and programs will be closing at 6 p.m. this evening. Channel 16’s “Your Community, You’re Connected,” scheduled for this evening, has been cancelled. The program has been rescheduled for Feb. 7 at 7 p.m.
Due to today’s hazardous weather outlook, several county programs and meetings are affected this afternoon and evening. All Fairfax County Public Schools are closing two hours early today, Tuesday, Jan. 29. School Age Child Care (SACC) centers will remain open until 6:15 p.m.
Fairfax County Government offices and the Fairfax County Circuit Court, General District Court and Juvenile and Domestic Relations District Court remain open at this time. Because of the school closure, Park Authority programs held at Fairfax County Public School locations are cancelled today from 4 p.m. on, including evening activities. At this time, classes held at RECenters and other Park Authority facilities will proceed as scheduled. If you have questions about Park Authority facilities, contact the site directly, call the Parks inclement weather line at 703-324-8661, TTY 711, or visit fairfaxcounty.gov/parks. Due to the expected inclement weather, several operational status adjustements have been made for Department of Neighborhood and Community Services programs and events. 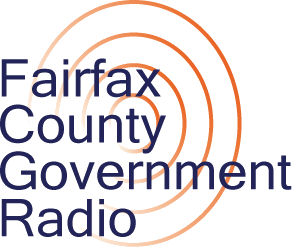 Visit fairfaxcounty.gov/neighborhood-community-services/tuesday-jan-29-inclement-weather-status-update-details for details. FASTRAN will transport dialysis, chemotherapy and radiation trips as scheduled. All other scheduled route services are cancelled. For information about FASTRAN, call 703-222-9764, TTY 711, or online at fairfaxcounty.gov/neighborhood-community-services/transportation/fastran. The following advertised public meetings have been cancelled. For more information on advertised public meetings of Fairfax County Government Boards, Authorities or Commissions, visit www.fairfaxcounty.gov/Calendar. The Burke Centre Library will be closing at 6 p.m. tonight. Chantilly Regional Library and Centreville Regional Library are closed today. The first of six UAS public information outreach sessions scheduled for this evening at the Mason District Governmental Center has been postponed in an abundance of caution due to the potential re-freeze of the parking lots and roadways. Tonight’s program has been rescheduled for Monday, Feb. 4. More details on the meetings. Due to the snow, building inspections in Fairfax County will occur today on a limited basis and only to areas that can be accessed safely. If you have questions, please call 703-631-5101. Most library branches will open at 11 a.m., with the exception of the Centreville Regional branch, which is still to be determined. Trash and yard waste collection will begin at daybreak for county customers. The vacuum leaf collection program will be suspended today. If you receive trash/recycling collection service from a private trash collector, contact them directly. Learn who picks up your trash. 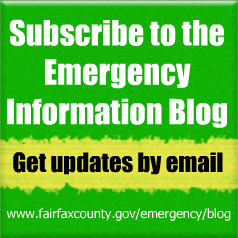 The Fairfax County Park Authority will open RECenters at 10 a.m. except George Washington, which opens at 3 p.m.
Community Centers, Senior Centers and Teen Centers at non-FCPS locations will open at 10 a.m. for self-guided activities. For information about specific programs, classes or activities, please call the facility directly before visiting. FASTRAN will transport dialysis, chemotherapy and radiation trips only. All other scheduled route services are canceled – including senior centers, adult day health care, Women’s Recovery Center, senior residence trips and charter services. Fairfax Connector will operate Saturday Service on Monday, Jan. 14. Fairfax County Government offices will open at 10 a.m. on Monday, Jan. 14. Employees have been granted emergency administrative leave from 6 a.m. until 10 a.m. Emergency service personnel should report as scheduled. Unscheduled leave is authorized for the remainder of the day. Employees are reminded that they should notify their supervisor if they elect to use unscheduled leave. Fairfax County Public Schools are closed Monday, Jan. 14. School Age Child Care (SACC) centers are also closed. The Fairfax County Circuit Court, General District Court and Juvenile and Domestic Relations District Court have not yet made a decision on operating status.